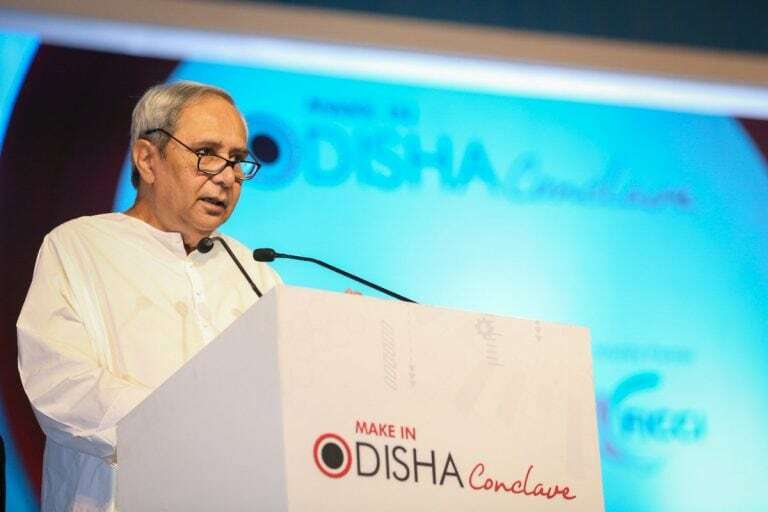 The Odisha government is confident of implementing 75 percent of its Rs 4.19 lakh crore worth of investment at 'Make in Odisha' Conclave 2018. Speaking exclusively to CNBC-TV18, the state’s principal secretary (Industries), Sanjeev Chopra said that although the target was challenging, it would be possible. “The chief minister (Naveen Patnaik) has tasked us with ensuring that 75 percent of these proposed investments hit the ground in the next two years,” said Chopra. “Between 2004 and 2014, we signed 92 MoUs, 46 of which have gone into production. In the 2016 'Make in Odisha' Conclave, we got about 124 proposals, worth about Rs 2 lakh crore, and 65 percent of them are under different stages of implementation and approval. So, going by experience, a majority of investments this year will also hit the ground,” he added. The five-day 'Make In Odisha' Conclave got off to a rollicking start this year, with corporate honchos announcing big investment plans in Odisha. Tata Sons chairman, N Chandrasekaran, announced an additional Rs 25,000 crore investment in Tata Steel’s Kalinganagar plant, while Reliance Industries Ltd chairman, Mukesh Ambani, said Reliance Jio would add another Rs 3,000 crore to the company’s existing Rs 6,000 crore investment in the region. By the end of the two-day-long deliberations between the government and India Inc, Odisha chief minister Naveen Patnaik announced that the state had netted Rs 4,19,574 crore in investments, which had potential to create 5,91,000 jobs. The top investors were Haldia Petrochemicals (Rs 70,000 crore), Jindal Steel and Power Limited (Rs 60,950 crore), Mahanadi Coalfields Limited (Rs 58,997 crore), an unnamed Taiwanese company (Rs 43,000 crore) and the Steel Authority of India (Rs 41,400 crore). The Odisha government told CNBC-TV18 that a number of steel plants had agreed to set up downstream industries within the state. “This is particularly relevant for MSMEs, because we have huge mother plants of the Jindals, Tatas, Jindal, Bhushan and Vedanta, and most of these companies have entered into an agreement with the state government to set up downstream plants,” said Chopra. However, there was disappointment as well. The government’s two focus areas – food processing and defence – received only a lukewarm response from India Inc. Food processing saw investment of only around Rs 650 crore, albeit with big names like ITC and Britannia parting with nearly Rs 600 crore. CNBC-TV18 had reported that another focus area, aerospace and defence, saw only about Rs 1,650 crore from just one company – little-known Chivaro Technologies – despite names like Punj Lloyd and Lockheed Martin present at the summit. But the government maintains that it's not disappointed. “Unfortunately, the awareness levels very low about the state in general, and about the prospects of aerospace in particular,” said Chopra, responding to the story, “While we are talking about awareness, the sector across the country has seen much upturn. So it’s not a case only with Odisha but across the country, because these are based on offset obligations. It’s only a matter of time – maybe it will take 2-3 years before we are proved right." The Odisha government’s Vision 2030 is of importance as it mandates conversion of half the state’s steel production into finished products. This would mean that BEML’s suggestion to set-up a coach-making unit in Odisha could well see the light of day. “We always welcome these ideas and the state government has been proactively reaching out to the central government also because the railway ministry was looking at aluminum coaches,” said Chopra, “The coach-making factory is in the realm of the central government as well. We will work with them, to make it possible."